USB C or USB Type-C is a USB type or a USB connector system characterized by a two-fold rotational-symmetrical connector with 24 connector pins. This system replaces USB-A and USB-B systems, as well as micro-USB connectors such as the USB micro-B. It is important to highlight the fact that USB Type-C is a USB type and not a USB version and a USB interface. Essentially, a USB type refers to the physical shape, pin arrangements, and the wiring of the plugs and ports. On the other hand, USB versions such as USB 1 and USB 3.2 refer to the speed, features, and functionalities of a USB interface. 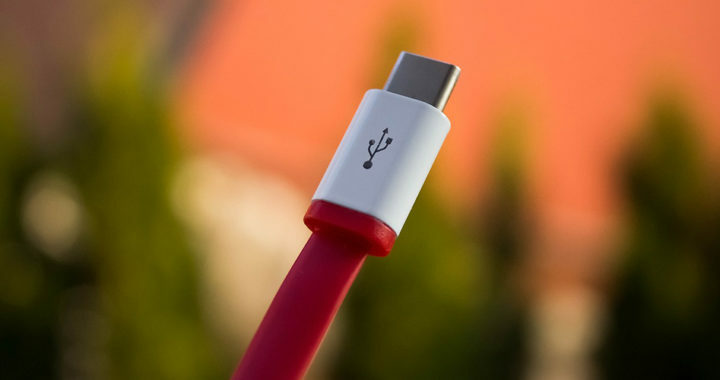 First introduced in 2014 and adopted further beginning 2016 and 2017, USB Type-C has taken over USB Type-A and micro-USB as the dominant USB type standard. Manufacturers of computers and mobile devices such as smartphones, as well as manufacturers of hardware interfaces such as Thunderbolt 3 and DisplayPort have opted to adopt this connector system standard due to its seeming universality. However, despite the promising advantages of USB Type-C, there are several problems or disadvantages that are challenging the selling proposition of this new connector system. Future-proofing is the primary advantage of USB Type-C. Currently, this connector system promotes the adoption of USB 3.1 and USB 3.2. This means that it also inherits specific advantages including higher bandwidths and faster data transfer rates of 10 to 20 gigabits per second. Future USB versions will be using this same USB type standard. Both USB Type-C and USB 3.1 are also backward compatible with USB 3.0 and USB 2.0. This means that for the meantime, a USB C plug and port can use adapters to interface with devices or peripherals using USB 3.0 and USB 2.0. USB Type-C is smaller and thinner when compared to USB Type-A although slightly bigger than micro-USB. However, it is worth mentioning that predecessor cables, such as those used in smartphones, feature a micro-USB on one end and a USB Type-A on the other end. A cable with a USB Type-C connector system can carry up to 100 watts of power, thus powering and charging larger devices such as laptops. Devices such as the 12-inch MacBook and MacBook Pro Retina use a USB C port for power and charging, as well as for data transfer. Because it supports modern USB versions, it can be used for connecting 4K monitors or faster solid-state drives to a computer system, as well as the dual mode under the USB Power Delivery feature. Note that USB Type-C has also been positioned as a non-proprietary universal connector system. Aside from the USB interface, other hardware interfaces from other manufacturers can take advantage of the physical specifications of a USB through the USB Alternate Mode feature. One prime example of a hardware interface using USB Alternate Mode is Thunderbolt 3 from Intel features USB C plugs and ports. Other manufacturers of hardware interfaces such as DisplayPort and HDMI have provided USB C options based on USB Alternate Mode. Perhaps, another notable advantage of USB Type-C is that it is reversible. Plugs and ports based on USB Type-A and micro-USB can only be connected in one orientation and direction. With USB C, the plugs are reversible and, thus they easily fit with a USB C port without the need for flipping or worrying about plugging it upside down. The cable is also reversible. To be specific, both ends of a USB C cable are the same. The cable will work regardless if its end is plugged one way or the other. Remember that prior USB cables usually features a USB Type-A on one end and a micro-USB on the other end. The advantage of USB Type-C is also its disadvantage. The problem with this USB connector system is that it has different applications and different interface compatibilities that can lead to confusion. For example, a device that implements a USB C does not necessarily mean that it implements the latest USB version and other USB features such as USB Power Delivery and Alternate Mode. In another example, because the plugs and ports of USB 3.1 and Thunderbolt 3 use the same USB C connector system, it is easy to confuse these two types of hardware interfaces. Some users might think that all USB-C ports found in their computers support Thunderbolt 3. Others might also think that all USB-C cables, including USB 3.1 cables, are similar to Thunderbolt 3 cables. Another disadvantage of USB Type-C that concerns its implementation and adoption is the need for proper definition and labeling to avoid the aforementioned confusion. Remember that a USB C only tells what the plugs and ports look like. It is a USB type and not a hardware interface. It does not describe data transfer rates, power capabilities, and supported data and interfacing protocols. For manufacturers of cables based on USB C, as well as for manufacturers of devices that implement the USB connector system, it is essential for them to provide proper labels describing the specifications, features, and/or capabilities. This also means that consumers should pay close attention to these labels. It is very important to reiterate that USB Type-C or USB C is just a USB type. It merely describes the physical characteristics of the plugs and ports. In other words, in is not a USB version such as USB 3.1 or other hardware interfaces such as Thunderbolt 3, DisplayPort, HDMI, or MHL. Different cables or plugs and different ports or hardware interfaces can use the USB Type-C connector system. This has been demonstrated in the implementations of USB Alternate Mode and of USB C in USB 3.1, Thunderbolt 3 interface, DisplayPort, HDMI, and MHL. However, these cables, plugs, ports, and/or interfaces will have varying technical specifications and capabilities. Nonetheless, the pros of USB Type-C center on the standardization of the physical shape, pin arrangements, and the wiring of the plugs and ports. On the other hand, its cons center on the fact that it is not actually universal because of its expansive applications. In USB C implementation, the cables, as well as the plugs and ports all look the same, but they might have different functions and limitations.